Sigh… My heart is so full right now. 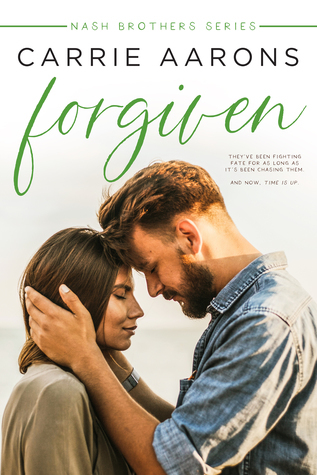 I absolutely adored Forgiven; this is Bowen and Lily’s story filled with heartbreak love and understanding. From the small glimpse I got of Bowen and Lily in Fleeting I wanted their story…no I needed their story. I had all these questions about what happened 10 years ago that needed answers to. The emotion the Ms. Aarons puts on these pages is real and raw you can’t help but feel everything that Lily is feeling and admire the strength and suffering that Bowen keeps subjecting himself to. You can clearly tell how much Bowen loves Lily, he’d give his life for hers, yet they aren’t together. A second chance has never been so deserved.